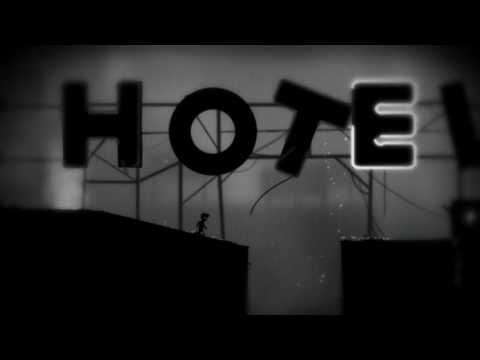 I played Limbo for about 3 hours one night when I decided to try it out. Eventually I got too tired to keep my eyes open and quit, and I didn’t play it for several weeks afterwards. I finally ran it again today and it turns out I stopped about 10 minutes and 2 puzzles from the end, hehe. At first I thought Limbo was just a style piece with no real gameplay, something you show to people to justify games as an art form or something. 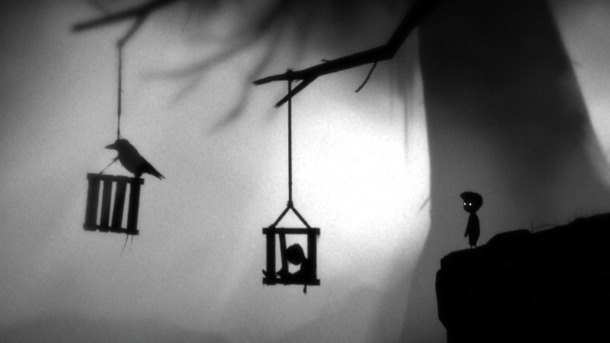 The whole game is in a silhouette with muted grey backgrounds and plays as a 2.5D side-scrolling platformer. The visuals are interesting, because it’s all in shadow you have to guess at some things, which is fine as an artistic choice. Visuals aside the game is still dark in it’s mood. You play as a boy who wakes up in the forest and is compelled to walk to the right (as Mario always used to be) and traverse certain obstacles that get in your way. There are many opportunities to die in this game and many of them are quite grim. Often the little boy will be skewered on a pike or cut in half by a giant circular saw each time with satisfyingly grotesque squishy sound effects. The game does not penalize you for trying and dying, you almost always start just a stones throw away from where you died, so the game is mostly about figuring out how to get past the puzzle in front of you. This includes many types of “gizmos” such as switches that change the direction of gravity, giant electro-magnets, and electrified rails, among many others. I won’t say too much about it, because it’s an interesting experience and for only $10 or so on Steam it’s worth spending three hours beating it. It’s actually remarkable how it conveys feelings without a single word. Go play it.